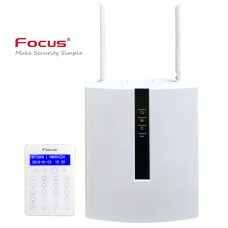 Focus alarmna centrala Plus serije FC 7688 Plus. U kompletu dolazi kučište sa napajanjem i LCD tipkovnica. Centrala sa 8 on board žičnih zona i 32 bežične zone. Proširivo sa zone expanderima do 88 zona. 2 particije. Ugrađen PSTN , 2G/4G GSM i IP LAN dojavnik. Mobilna APP za upravljanje alarmom. ◎ Engleski menu i glasovna komunikacija. ◎ 8 programmable access wireless remote, 8 programmable access keypad, 32 wireless appliance switch,8 wireless siren. ◎ Support SD card update application software. 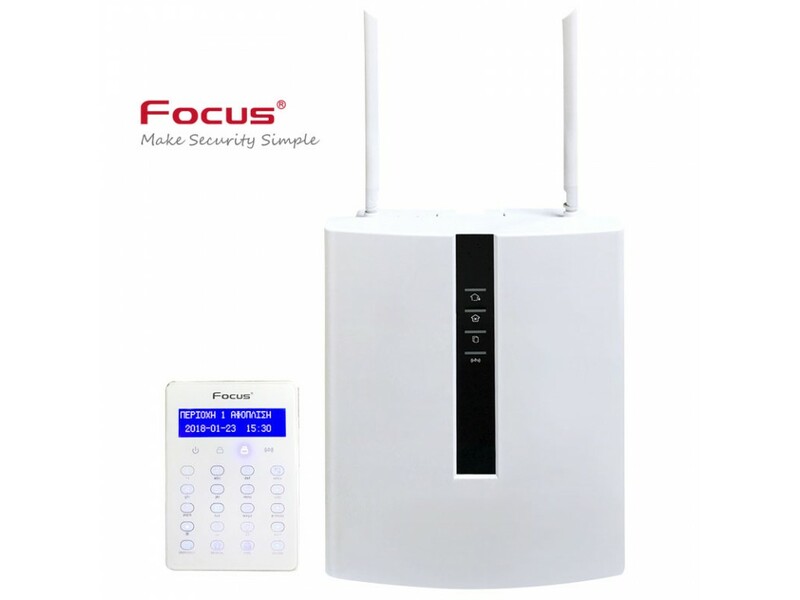 ◎ Support 2G/4G, TCP/IP, networking alarm setting. ◎ Can extend GPRS/4G wireless communication module, support GPRS data transmission. ◎ Can extend programmable Relay module,serial module. ◎ Can set 8 private telephone numbers. ◎ Remote voice prompt operation. ◎ Built-in electronic clock,can realize 4 groups timing arm/disarm everyday, 2 groups timing alarm clock. ◎ AC off,wireless/wired detectors trouble reporting. ◎ Can set self-checking time report to control panel automatically. ◎ 512 loop event record.